Very pleased with this download!! Divides it by chapter and book! So glad to have finally found a way to listen to a good quality, non-dramatized bible recording on my Iphone while I'm driving! The sound is clear and professional and the speaker does a very good job at delivering the narration that makes it easy to follow along and understand. I've also spent a long time looking for a narration that is divided by book and chapter, because it's just an unneeded hassle to have to scan through a large hunk of audio just to find the right chapter you want to hear. It puzzles me why all narrations don't make their downloads more user-friendly. All-in-all, I'm in love with this audio book! Huge blessing to any who listen and want to hear from God! This is a very good translation. It is also read very well by the narrator. 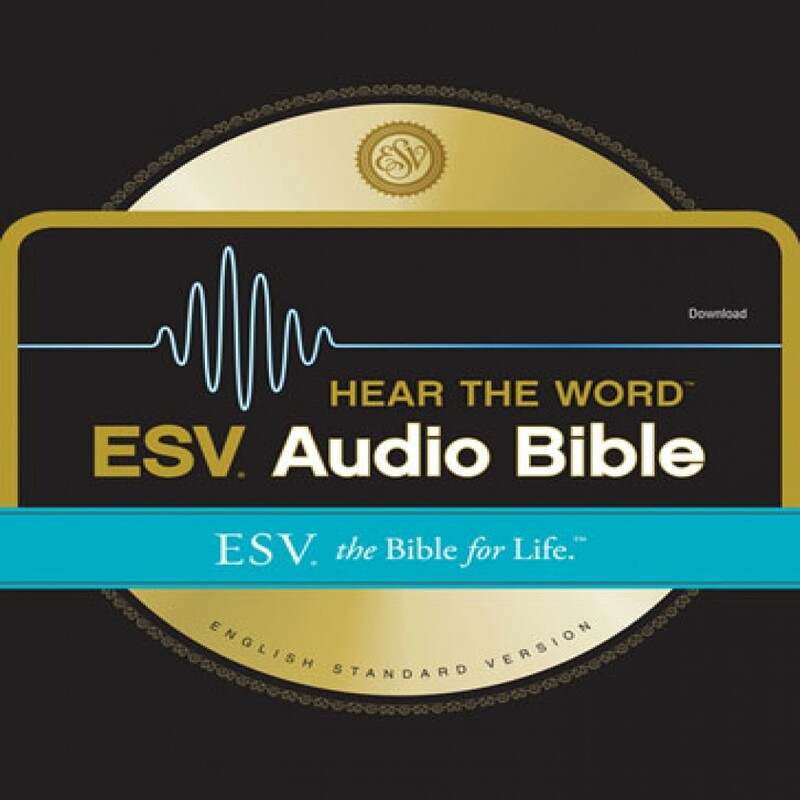 I have several audio Bibles and this is the best one I have ever heard. It is clear, professional, and at just the right pace to be able to comprehend what is being read. My favorite part is that there is no background music or drama. It is the pure, spoken Word. Very well done! It's not cheesy. The speaker has a clear voice and it is the ESV, which is the translation I wanted. I am very satisfied and have no complaints. Quality was excellent, I played the book of Job during a 3 hour road trip. I had been reading through it at a rate of 3 to 4 chapters per day, and the audiobook helped see the book as an entirety. The file size of the entire book has been daunting, particularly downloading one file at a time. I avoided an available App for my iPhone, which might have helped, but the negative reviews about its quality made me decide to avoid it. I listened to several different Bible narrators, and decided I liked this one best. Have not been disappointed! I downloaded both the M4B (to play on my Droid Mobile) and MP3 (to play on CD in my car). Both have their advantages. To the quality of the vocalisation - I must say that it is "spotty". Mostly, the reading is pretty good - but every now and then it sounds like either another person, or the reader has a cold, or something is totally different about the timbre of the voice. Not a "biggie", but I did kind of expect a bit more Quality Control in a book as important as this.